The Hill Rise project has been a significant refurbishment to a 1960’s built property. The client decided to remove large cuttings from around the property and increase the useable floor height and footprint of the local area around the building. This increase in space did leave significant engineering issues that needed to be addressed. 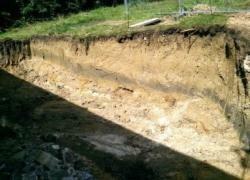 Originally the engineer wished to use counterfort trenches to reinforce the large earth mounds left as a result of the cuttings. 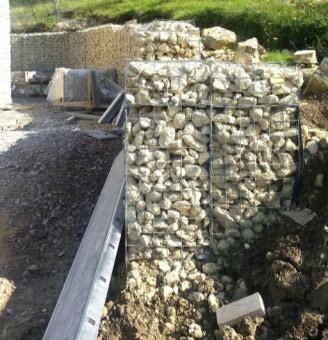 The client however wished to use a more aesthetically pleasing reinforcement system such as gabion baskets. The gabion baskets although appealing for a gravity retaining system, could not achieve the required resistance capacity to hold the large cuttings from moving. SR Architects decided to discuss the use of our mechanical anchoring system to help with the design process to replace the counterfort walls. ASIL performed a site test to ensure that the engineering design could be achieved based on the loading criteria that had been identified. 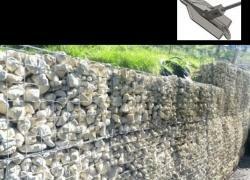 ASIL then designed and confirmed a solution where the ground anchors could be installed within the gabion basket. Calculations were performed to ensure that the tensile loads of the ground anchors could be achieved within the gabion baskets. The baskets used on this project were 600mm wide from the cutting face. An intermediate welded wire mesh plate was installed at 300mm from the wall face within the basket. 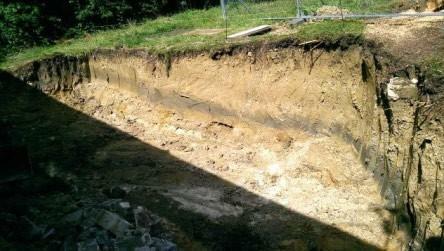 The ground anchors were loaded against this intermediate face. 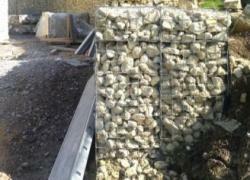 The front 300mm compartment of the gabion basket was then filled and packed with stone. This allowed the concealment of the anchor tensioning plate. 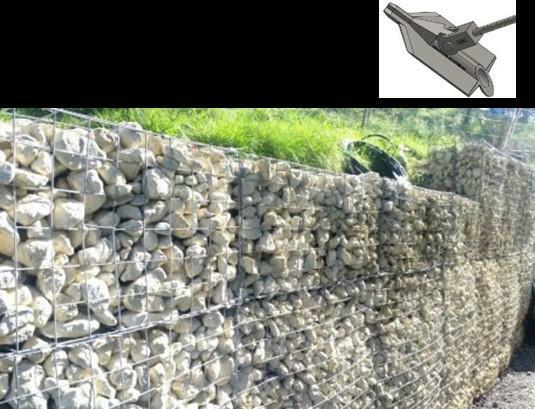 The cuttings were all retained by the use of our mechanical ground anchor system and the method of installation has allowed the customer to fully benefit from the aesthetic appeal of the gabion baskets. Please contact Anchor Systems (International) Ltd to discuss your retaining and stabilization requirements.